The National Green Tribunal, which had earlier said the steps taken by Delhi authorities to contain the menace of diseases caused by mosquitoes were a "mere formality" directed civic bodies to clean and properly maintain all water fountains in the city. New Delhi: The National Green Tribunal has directed civic bodies to clean and properly maintain all water fountains located in different parts of the city to ensure there is no water stagnation resulting in mosquito breeding. 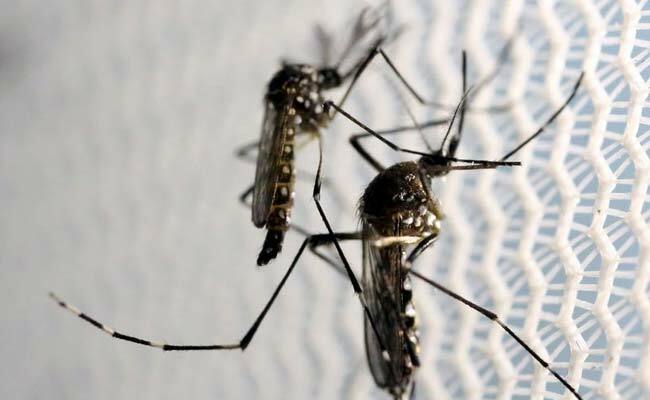 A bench headed by NGT Chairperson Justice Swatanter Kumar directed all municipal corporations, Delhi Development Authority (DDA) and Cantonment Board to take precautionary steps to stop the infestation of mosquitoes. "It may be considered that if use of kerosene oil to prevent breeding in fountains or introduction of Gambusia fish (mosquito fish) or any other appropriate measures can be adopted to prevent fountains becoming breeding ground for mosquitoes," the bench said. The green panel also noted that in East Delhi's Kalyanpuri area drains have been choked due to accumulation of municipal solid waste which results in mosquito breeding. "We direct the East Delhi Municipal Corporation, along with other local authorities, to clean these drains immediately and ensure that there is no stagnation of water or waste in them," the bench said. The NGT had earlier directed the DDA to take immediate steps for cleaning and fumigating around 500 abandoned flats in West Delhi's Janakpuri area to fight diseases such as dengue and chikungunya. It had earlier also said steps taken by city authorities to contain the menace of diseases were a "mere formality". The bench had then appointed 12 local commissioners to inspect different spots in the city under each municipal corporation and report to it about the problems on the ground. The tribunal had hit out at the Delhi government, civic bodies and other public authorities for making "unbelievable" claims and "vague statements" on steps taken to tackle dengue, chikungunya and other diseases. The bench was hearing a petition by a former scientist of the Central Pollution Control Board, Mahendra Pandey, for issuance of directions and setting up of committees to implement "precautionary, preventive and curative actions" to ensure that residents of Delhi were not exposed to disease. The plea had also wanted authorities to be directed not to undertake outdoor thermal fogging to control dengue, alleging it caused air pollution.